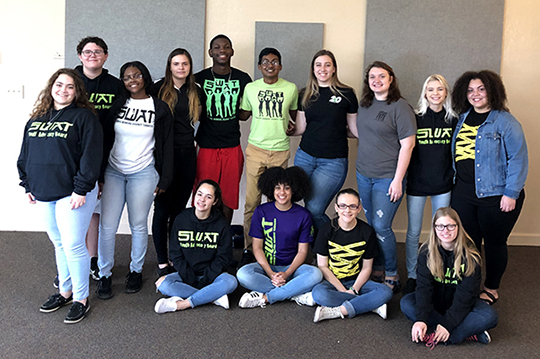 On February 22-24, 2019 Okeechobee SWAT youth Mariah Spelts attended the SWAT Statewide Youth Advisory Board face to face meeting in Leesburg Florida. Mariah is one of 12 youth across the state of Florida who were chosen to sit on the SWAT state youth board. 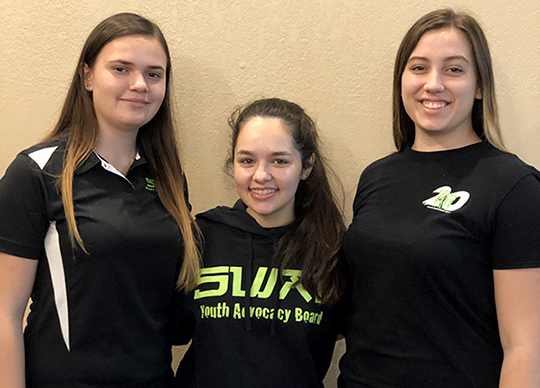 Pictured L to R: Region 4 Youth Advisory Board members: Mariah (Okeechobee), Ashley (Dade) and Amanda (St. Lucie County). During this meeting the youth spent the majority of their time planning the Statewide SWAT meeting which will be held in June and attended by every county in Florida. Youth also worked with a production company to shoot a video that will be shown at the meeting in June. To learn more about our SWAT program visit: www.swatflorida.com.